Please come in and take a look around. 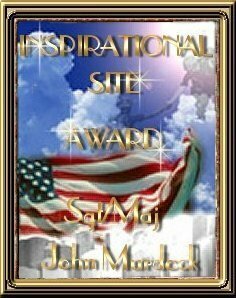 Many people have graced my pages with their wonderful awards. I've linked them all back to their pages for your viewing pleasure. They are all wonderfully done and are an asset to the internet community. Please visit them and enjoy! 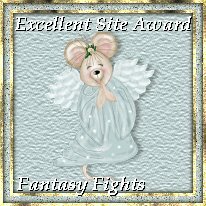 Next I was honored with this inspiring award from Heaven's Angels, a beautiful web ring that I belong to. 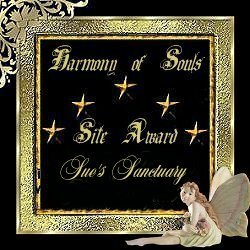 And most recently, I was honored with this beautiful award from Harmony of Souls, another wonderful web ring that I belong to.